Jeep has been enticing drivers in the Plantation area for decades, making the iconic brand that it is today. One of the most popular models is, of course, the Wrangler. Without a doubt, this vehicle is one of the most notable vehicles on the road today and Jeep has truly upped its game, making the 2019 model one to remember. 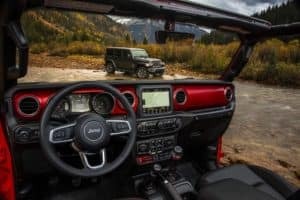 To help you learn more about this vehicle, the pros at Massey Yardley CDJRF has created this handy Jeep Wrangler review. Below, you find all the new features it has included to elevate the already brilliant performance, style, and technology. Check out the Jeep Wrangler in person by finding a car dealer near you! As one of the most capable vehicles hitting the streets, the Jeep Wrangler’s powerful performance begins with what is found under the hood. The available 3.6L Pentastar® V6 engine offers a generous horsepower of 285, as well as 260 lb-ft of torque, making it ideal for on-and-off-road driving. With more than seven decades of experience under their belt, Jeep knows drivetrains like no other. Working alongside the engine, you can choose between two different transmissions – the 6-speed manual for a customizable drive or the 8-speed automatic, to let the car do the work so you don’t have to. The exterior of the 2019 Wrangler still possesses those classic looks everyone has come to love but adds new enhancements to change the way you drive. Available on the Sahara and Rubicon 4-door models, you’ll be amazed at the Sky One-Touch™ Power Top. This allows you to open and close the roof with a simple push of a button at speeds up to 60 MPH. Additionally, the body of this Jeep is engineered to be lightweight but sturdy, featuring high-strength doors and hood, as well as a magnesium swing gate. This reduces weight, allowing fewer trips to the gas station with an improved fuel economy. No matter where you’re headed, you’re sure to always be in the know with the Jeep Wrangler’s suite of interior technology features. The fourth-generation Uconnect® system lets you simply integrate your smartphone with Apple CarPlay® and Android Auto™ to stream tunes and access your favorite apps while on your adventures. Choose between the available 5-, 7-, or 8.4-inch touchscreen to be added to your dashboard for updates and easy-to-find information all at your fingertips. It even includes pinch-and-zoom capability and an easy-to-use interface. 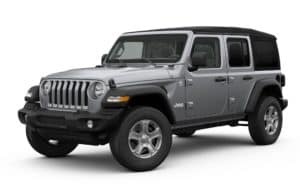 We know that after reading our 2019 Jeep Wrangler Review, you’re just itching to get behind the wheel, and you can! 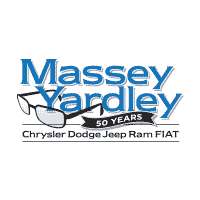 Just contact Massey Yardley CDJRF to set up a test drive. Our team is excited to see you drive away happy.